Mexico suffered a record 33,341 homicides in 2018, according to official statistics released Monday, breaking the record set in 2017, as violence fueled by a war on the country’s powerful drug cartels plagues the country. More than 200,000 people have been murdered in Mexico since the government controversially deployed the army to fight drug trafficking in 2006. The previous record was 28,866 homicides in 2017. 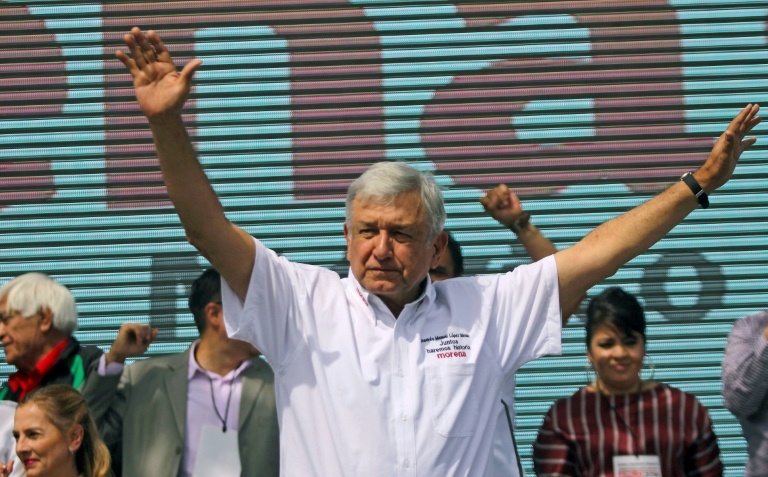 The new record shows the grim challenge facing President Andres Manuel Lopez Obrador, an anti-establishment leftist who took office in December with a promise to curb the gruesome violence. His strategy is built on creating a national guard that will officially bring civilian police duties under military control. Critics say that will only prolong the militarization of the crackdown on drug cartels and exacerbate human rights abuses, which activists say have soared since the army was sent into the streets. The plan still has to pass the Senate, also with a two-thirds majority, and half of Mexico’s 32 state legislatures — most controlled by Lopez Obrador’s party, Morena. Mexican journalist Rafael Murua, a community radio station director who had reportedly received death threats for his work, was found murdered after going missing at the weekend, said the governor of Baja California Sur state. “I condemn the murder of journalist Rafael Murua Manriquez. My solidarity to his family and all journalists in Baja California Sur,” Governor Carlos Mendoza wrote on Twitter, confirming the first such killing of 2019 in a country that has become one of the most dangerous in the world for the press. Murua, 34, was under the Mexican government’s protection program for journalists and rights activists, said Balbina Flores, country director for the watchdog group Reporters Without Borders. Will Trump’s Border Wall Keep Mexican Migrants Out or Lock Them In? Could Protests in Hungary Threaten Prime Minister Orban's Position?